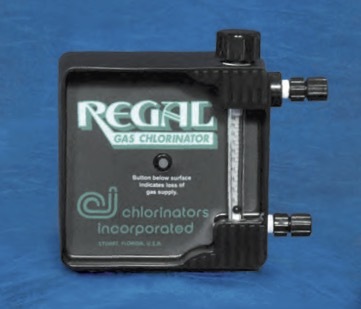 The REGAL™ Gas Chlorinator is used to chlorinate water, wastewater and industrial process water with gas chlorine. 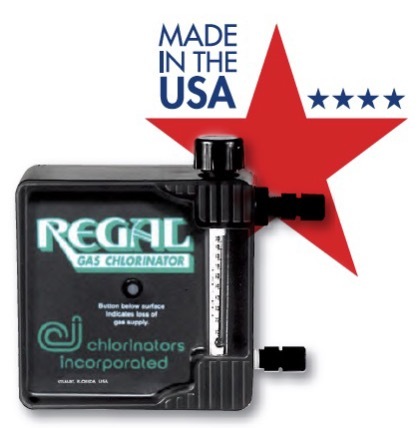 The simple, efﬁcient design has made REGAL™ Gas Chlorinators the industry standard. Built with heavy duty corrosion resistant parts, REGAL™ Chlorinators provide safe, long-lasting service. 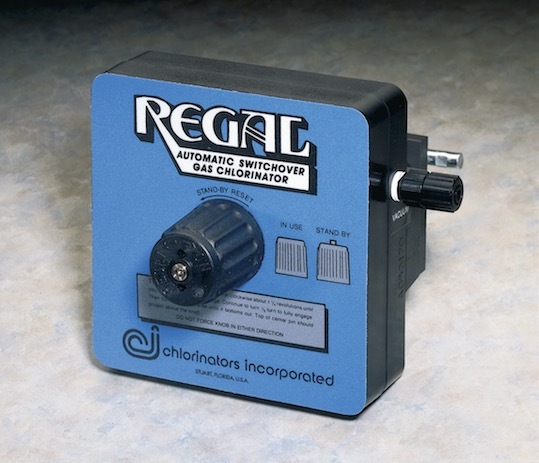 The REGAL™ SMARTVALVE is designed to automatically regulate the gas feed rate needed to maintain the chemical residual level determined for a specific water treatment application. The main factors involved when selecting the proper SMARTVALVE system include the volume of water being treated in conjunction with the quality and flow (fixed or variable) of the water. Different models are available to be used for chlorine, sulfur dioxide or ammonia applications. 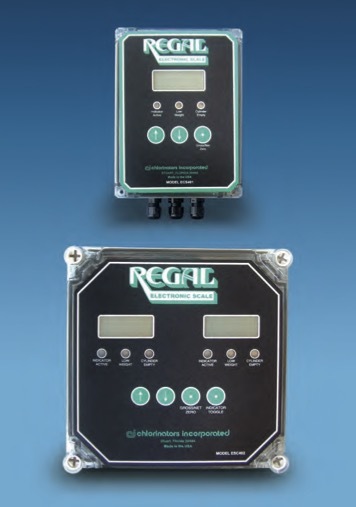 The REGAL™ Series 3000 Gas Detectors are designed to accurately sense the presence of chlorine and/or sulfur dioxide in an enclosed environment. In the event of a possible gas leak, the Series 3000 detectors continuously display the concentration level(s) in PPM (parts per million) while simultaneously indicating the highest level detected on an LED bar graph. 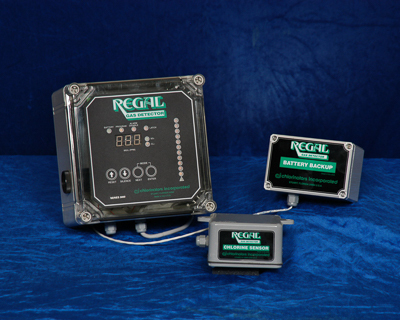 The REGAL™ detectors are available in both single and dual sensor models. Models 3001 (CL2) and 3003 (SO2) are single sensor detectors and Models 3002 (CL2), 3004 (SO2) and 3005 (CL2and SO2) are dual sensor. 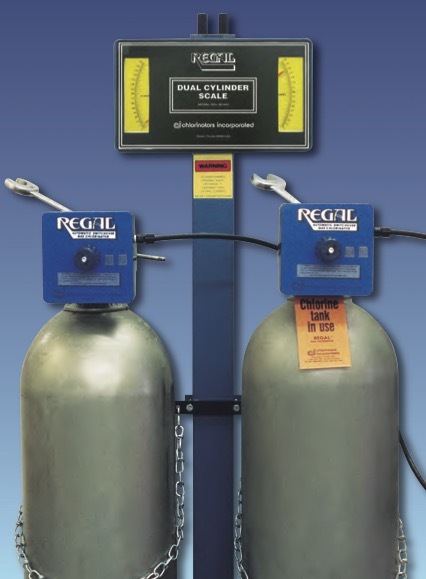 The REGAL™ Model SC401 Dual Cylinder Scale independently weighs the contents of two compressed gas cylinders simultaneously. 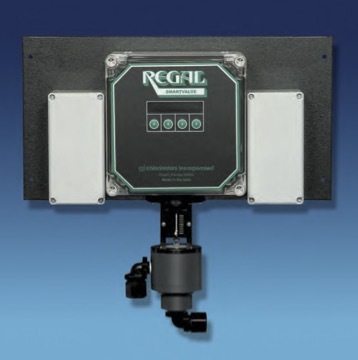 REGAL™ Series ECS Electronic Cylinder Scales are very important and recommended accessories that should be part of all REGAL™ Gas Feed System installations. The REGAL™ Gas Sulphonator is used to de-chlorinate water, wastewater and industrial process water with sulfur dioxide. 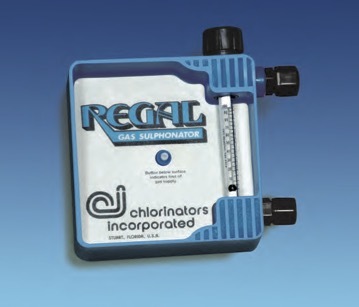 REGAL™ Sulphonators are based on the same simple, efﬁcient design that has made REGAL™ Gas Chlorinators the industry standard. Built with heavy duty corrosion resistant parts, REGAL™ Sulphonators provide safe, long-lasting service. 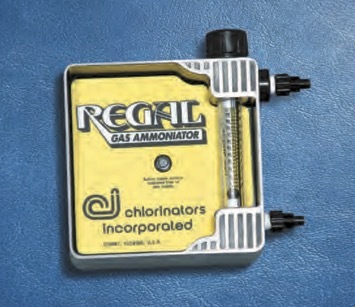 The REGAL™ Gas Ammoniator is used to provide a chloramination disinfection process. It controls odor and color in the potable water industry. In wastewater applications, it helps to improve the environment for aerobic organisms through the induction of nitrogen. The Regal Ammoniator also neutralizes acids in all industries.